I’m just as shocked as you are folks, the loveable and honorable James Avery dies at 68, due to ‘complications of a heart transplant’. I don’t know about you folks but Fresh Prince growing up was by far the most funniest sitcom ever was! 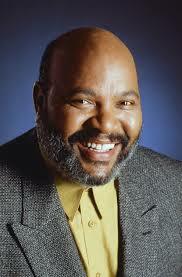 Just seeing the actor play Uncle Phil either had me in stitches or gave me a fright! So simple, yet hilarious! (for those who don’t know about this show..GET TO KNOW!) I don’t think there’s not ONE person that doesn’t recognize or know the lyrics from the theme tune. I know I do! But it’s hard to believe someone such as himself would die so soon. His movie credits included Fletch, The Prince of Egypt and 8 Million Ways to Die. Many of his fans wrote on his twitter page as a memory of his work. Including Fresh Prince’s Alfonso Ribeiro, leaving him a heart-filled message about the actor. Some of which calling Avery’s his ‘second father’. I know, some of you might argue: ‘He’s been in other films you know!’ and yes, I’m aware of that, but I know and love him as Uncle Phil so there. He’s starred in many old time classic such as: ‘Three for the road’, ‘Blue brothers’ and my favorite ‘Dr Dolittle 2’.